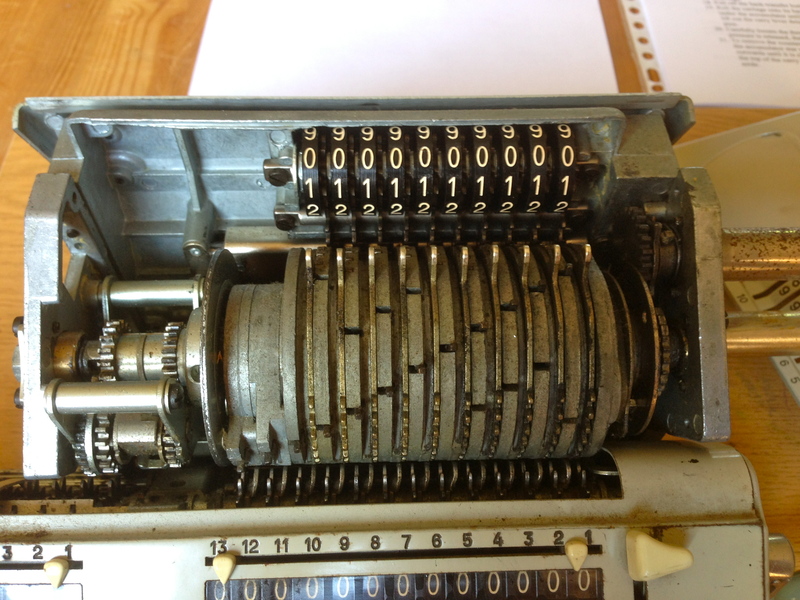 The picture at the top of this blog is a photograph of a mechanical calculator: a Walther, probably a model RMKZ, and indeed manufactured by the still-existing firearms company. I’ve been interested in mechanical calculators (and “coffee grinder arithmetic”) ever since reading Husserl’s Philosophy of Arithmetic, where he speaks repeatedly of the “mechanical operations” of elementary arithmetic, the numerical symbols as foundation for a “completely mechanical process” of calculation, “purely mechanical counting”, etc. He even points out that we count “like a machine” (“maschinenmässig”), when blindly manipulating signs due to habit. The first time I read this I wondered what level of mechanical calculation had been reached in the 1880’s when Husserl wrote this. I obtained a more than satisfactory answer to this question when visiting the excellent Arithmeum in Bonn a few years later. From caveman arithmetic with notches on a stick to the last mechanical calculators of the 1970s they have nearly everything there (including an Enigma). After the Pascaline, the development of mechanical calculation took flight in the 19th century, starting with Babbage’s difference engine in 1822. This lead to a veritable “computing revolution” in the 1880s and 1890s, right around the time Husserl was writing his book, when all kinds of new models of mechanical calculators were being developed and mass-produced. 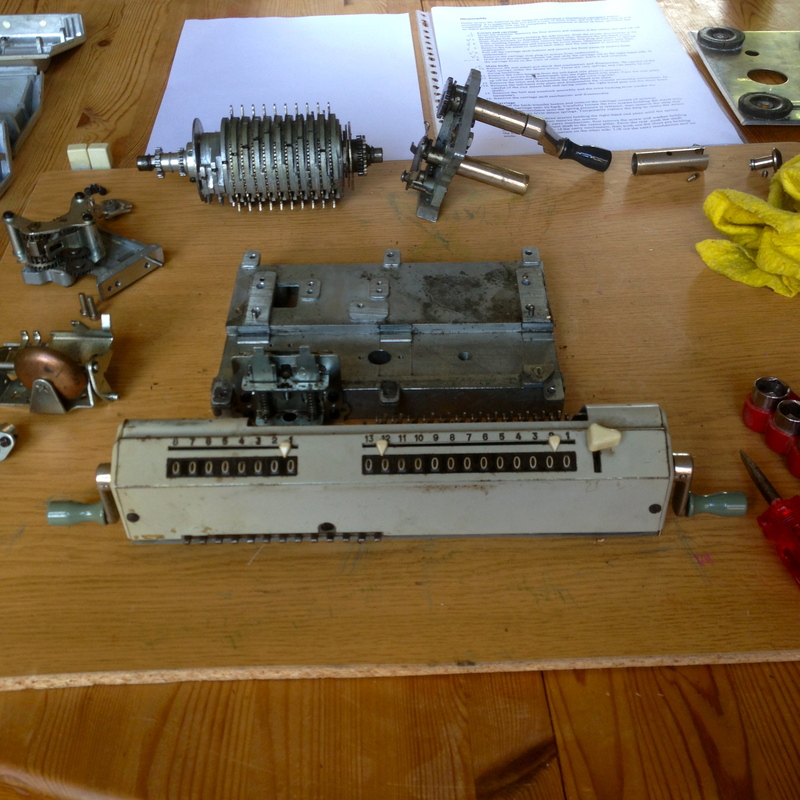 Inspired by the picture on my blog, this year for my birthday my mother gave me an Original Odhner model 239, probably produced in the late 1950s or early ‘60s, complete with copies of the original manual and instructions for disassembling and cleaning it. 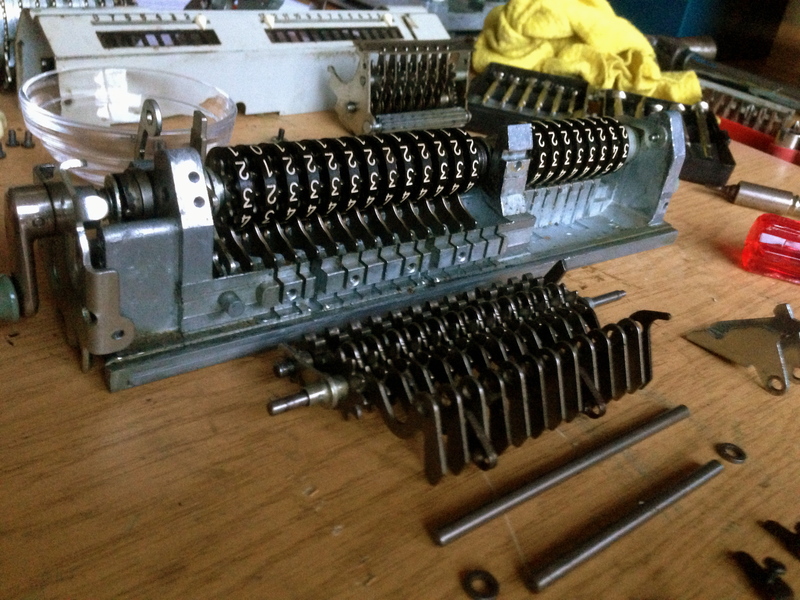 During the summer break I plan to take it apart, peek into Leibniz’ mill, and put it back together. I admired your skill. Handy man. I am absolutely an A technical person (76). I worked in the past in office with Odhner. so a stay with the position as machine has. For oiling without disassembling, you would just need to remove the outer covers so you can reach the mechanism. Thanks Carlo for extremely prompt reaction/answer. shall try to let oil in via openings in front. wooden cover, all in an excellent condition. Further as well a Thales Patent, a pre-war one. 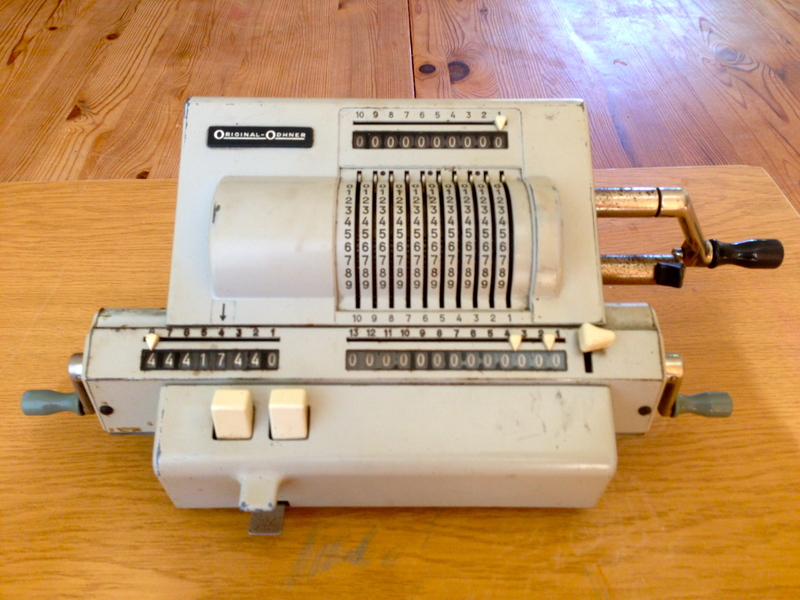 My Odhner 239 operated correctly up till ………. thum and to move handle a quarter clockwise. for me (76) and not being a handy man it is a miracle. something is broken or whatever. Look forward for your kind help. I hope that you can find some good advice over there. Odhner 239, so the machine works correctly again. I suppose you know Cris. If not look at his extensive site. It is amazing. Thanks Carlo for you cooperation.